Building Information Modelling (or ‘BIM’) is a way to create and mange information about a construction project throughtout the project’s lifecycle. The main output is the ‘Building Information Model’, a digital depiction of all aspects of the project. Not only is BIM innovative in the way it allows the building process to be optimised, it also offers a platform for collaboration between everyone involved in the project. In this short post, we write a bit more about BIM and why it is a useful tool for the modern architect. BIM can mean different things to different people – it really depends on what you are using it for. However, it is generally understood that it is more than ‘just a piece of software’ that creates a 3D geometry of the structure. It also provides a series of co-ordinated processes that provide all of the information about the structure seen in the image. In practice, this means that a BIM provides more than just a digital representation of the building, as it is made up of objects that are related: the building itself; the spaces that make up the building (rooms, hallways, etc. ); the systems in the spaces (heating, plumbing, etc. ); the products that make up the spaces (furniture, appliances, etc. ); and the relationships between the objects. Another key function of BIM is that it can help a design and construction team communicate and work together well with one another, their client(s) and the public, to deliver real benefits. By building the digital design first, the team can be confident that all the elements fit together properly, avoiding unexpected difficulties in the actual build process. The digital design requires input from the architect, structural engineer, services engineer, etc., before handing over the information to the construction team. There are also benefits for the construction team. When purchasing materials, detailed specifications can be extracted quickly from the model, and information about how materials should be installed/maintained can also be included.Rather than this information being kept in hard copy brochures, the model acts as a central database for all queries. The model can also be handed over to the owner of the building so that it can be used for reference in the future (e.g. for refurbishment). By understanding the project really well, any risks are significantly reduced. Today’s building projects can be very complicated – the more that everyone understands each other’s needs (e.g. design team, subcontractors, owners, etc. ), the less risk there is. This also has positive effects on profitability and the level of customer service delivered to clients. We’re often asked how much it costs to build a house. This is a difficult question to answer: every new build has its own requirements and new build costs depend on a range of factors. In reality, it is possible to have an accurate estimate of the price when all of the drawings and work schedules have been completed. However, there are a number of variables and issues that you can take into account to gain a sense of price before then. We’ve outlined these below. Construction costs vary depending on the location of the site in the country. Central London will be a lot more expensive than elsewhere. For a new build home designed by an architect in London or the South East, current minimum construction costs tend to be in the region of £1,750 per square metre, with land acquisition and professional fees on top of this. Where other issues apply (and we’ll come to these next), this figure is likely to increase to a minimum of £2,000 per square metre. The design of the property can also have an impact on the cost. It is important to use an architect who has a track record of designing houses that are within your budget (see examples on our Projects page). Where the highest quality finishes are required, the cost per square metre may rise to £4,000 (and more). It is likely that several other factors will apply to the project which will lead to higher costs. Examples include: party walls; difficult site access; specialist foundation requirements; non-standard forms of construction (e.g. cross-laminated timber); large areas of glazing rather than walls; and high spec kitchens and bathrooms. – Consultant costs (these will also vary depending on the size and nature of the project – architect, structural engineer, inspectors, etc.). There are a number of tax benefits for new build houses which can offset some of the above costs. Stamp duty is calculated on the value of the land only, which is typically less than the value of the land with an existing home on it. Community Infrastructure Levies can be considerable (especially in London) but new self-build properties are usually exempt from this (in line with certain residency terms). VAT is also not payable on the construction costs of a new build house and, assuming the house will be the principle private residence, Capital Gains Tax is not payable if you make a profit at the point of sale. 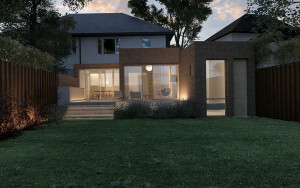 If you are interested in exploring the cost of a new build project with RISE Design Studio, please get in touch. 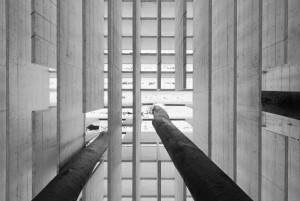 Sverre Fehn (1924-2009) was a Norwegian architect who received worldwide recognition for his work. 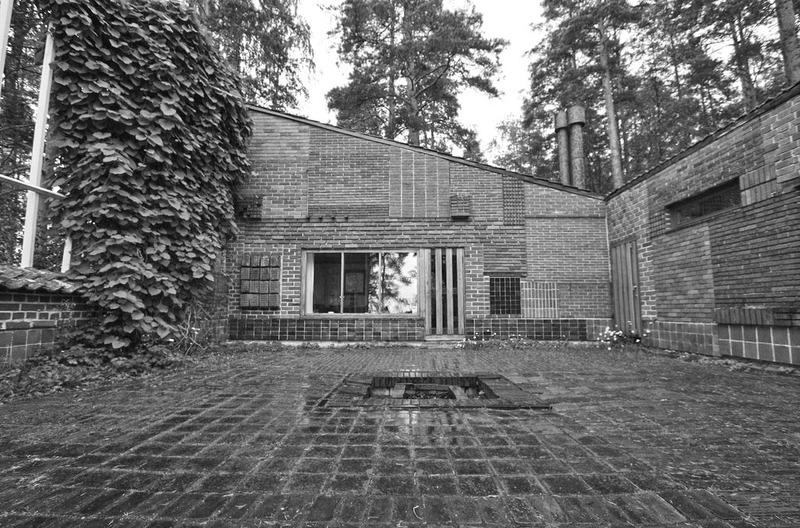 He is widely referred to as the leader of Scandinavian architecture in the postwar years and he was awarded both the Pritzker Architecture Prize and Heinrich Tessenow Gold Medal in 1997. Here at RISE Design Studio, Sverre Fehn is one of several architects who inspire our work. In this short post we share some detail about Fehn’s life, his well-known works, and reflect on how, like Peter Zumthor, his designs developed an aesthetic that drew on local culture and nature to create a unique experience of space. A Norwegian, Fehn was described as always trying to ‘run away from the Nordic tradition’. After qualifying as an architect in Oslo in 1949, he went on to work with the French metal worker, architect and designer, Jean Prouvé. 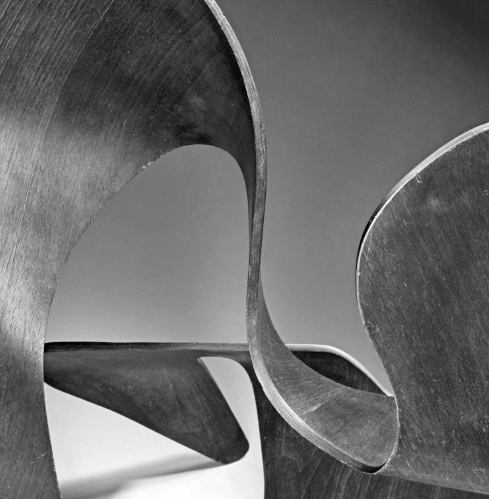 With a resulting interest in resolving complex problems of construction detail, he was simultaneously influenced by Le Corbusier, the Swiss-French architect, nurturing a passion for the modern design movement. Time spent in Morocco in the early 1950s also provided him inspiration from the simplicity of life in adobe vernacular houses, which are built from earth piled up in simple structures and respond to the surrounding natural environment by regulating heat and light. After his time in Morocco, Fehn became acutely aware of the different characteristics that light can take, focussing his work on creating responsive architecture for different climates. He completed commissions for the Venice and Nordic pavilions at the 1958 World’s Fair in Brussels, the latter of which was reminiscent of the detailed construction work of Prouvé: intersecting blades of Perspex and glue-laminated wooden beams, all held together with only 48 bolts. Five decades later, the Nordic pavilion still stands with three plane trees growing up from the ground and out of the roof. He then completed the rest of his life’s work in the cooler, damper and mistier climate of Scandinavia where he designed country villas, an ecohouse and several notable museums, including the Norwegian National Museum of Architecture in Oslo and the Hedmark Ethnographic Museum in Hamar. The Hedmark Museum, also known at the Storhamar Barn is one of his best known works and a space designed to speculate on human nature and material history. 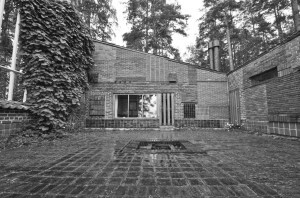 Many of Fehn’s buildings have a strong relation with the surrounding environment, blending modernity with regionalism. The private Oslo residence, Villa Schreiner, has been called a ‘hommage au Japon’ due to its sliding doors, large windows, and the way the wooden structure is intricately linked with the nature around it. In Bamble in Norway, Villa Busk straddles a ridge and follows the natural terrain to demonstrate the strength of nature and man’s subordination to it. 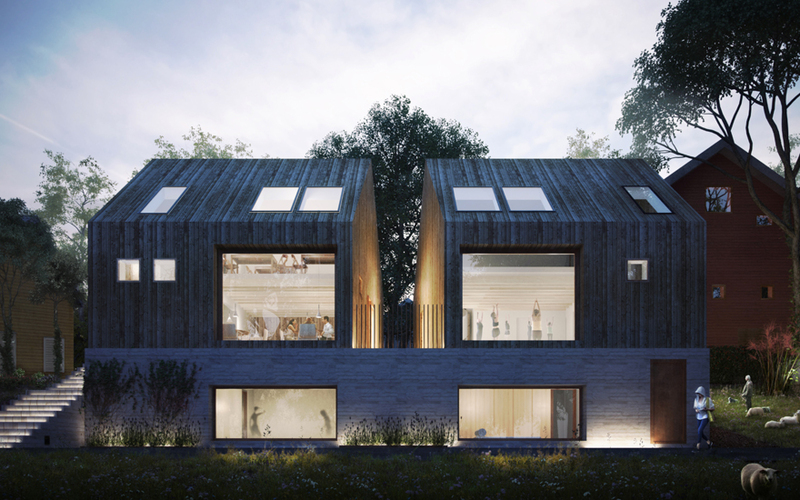 His Eco House in Norrkoping (Sweden) took the relationship with nature even further, using natural ingredients in construction. 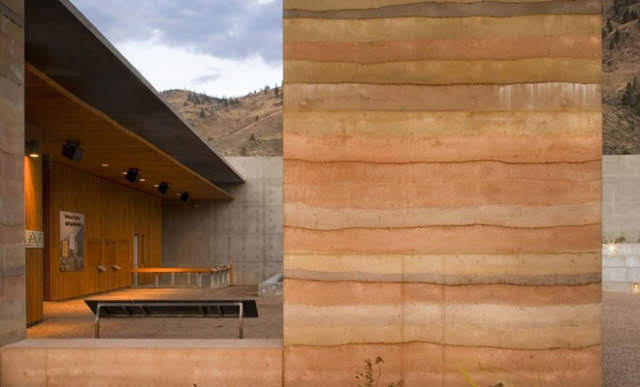 A wooden structural frame is filled in with straw bales mixed with clay and finished inside and out with a clay plaster. Partitions of adobe (from his days in Morocco) also feature. You can browse a selection of Sverre Fehn’s woks on Pinterest. We are researching a method of designing our projects ‘in totality’, an approach developed by Danish architect and designer Arne Jacobsen. Using this concept, we plan to research and design a range of ‘imperfect’ yet universally appealing products that would be handmade in London using raw materials like wood, metals and glass. Initial ideas include door handles, threshold details, light fittings, furniture, light switch plates and knobs, and plug sockets. 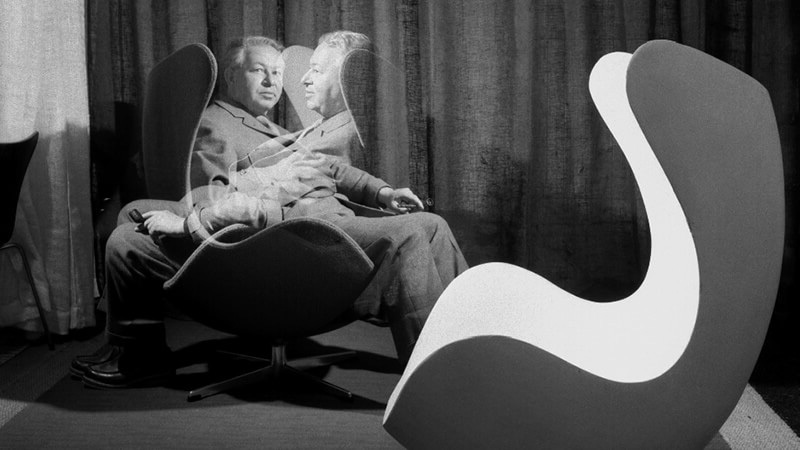 As we undertake this exciting piece of research, this short blog post explains Arne Jacobsen’s approach in some more detail and reflects on how his unique Scandinavian architectural tradition has had a profound impact on international architecture. Arne Jacobsen (1902-1971) designed numerous notable buildings of the 20th century, ranging from theatres, sports halls and schools, to hotels, the Danish National Bank and St Catherine’s College, Oxford. Although first and foremost an architect, he is arguably most remembered since his death in 1971 as an interior design innovator, thanks to his prolific and diverse designs. He created a range of modernist chairs in the 1950s that are still widely seen today (examples include the ant chair, the tongue chair, the swan chair and the egg chair), and his collaboration in the late 1960s with VOLA led to the design of a customisable system of plumbing fittings meant for both kitchen and bathroom. The mechanical parts of the VOLA series are all hidden, leaving only the spout and handle visible to the user – a completely new concept at the time. This design is now recognised and found across the world and in many prestigious buildings such as the German Reichstag in Berlin, the Scottish Parliament in Edinburgh and the Concertgebouw in Amsterdam. In conjunction with specific building projects, he also designed a wide assortment of textiles, lighting fixtures, door handles, cutlery, tableware, clocks and other accessories that were awarded many prestigious accolades and can now be seen in design museums around the world. Arne Jacobsen’s goal was totality. He strived to create total concepts, whereby everything was designed with a common thread between the building, the furniture and other interior décor so that all parts were ‘in harmony’. As his portfolio of projects completed in this way grew, the quality of the products he designed became so highly regarded that, although they were developed for specific building projects, they had such universal application and appeal that they became part of standard production. The VOLA design is still popular today, inspiring bathroom and kitchen designs that ‘clean-up’ the aesthetics of these rooms. As we continue to research and design our own range of interior design products that use local materials and complement our architectural projects, we will be inspired by the timeless, holistic approach that Jacobsen used so successfully. Our last two posts have covered Permitted Development Rights (PDR) in general, and house extensions under PDR in particular. In the final post in this short series, we consider some other types of projects that fall under PDR and do not require planning permission, and provide you with some information about the rules that you should be aware of. Specifically, we cover additions/alterations to the roof of a house, porches and other outbuildings or structures that you may wish to add. Unless you live in a protected area and/or your house is listed, you can add to or change the side and back of your roof without requiring planning permission. You may wish to convert the loft and add dormer windows, or carry out alterations such as re-roofing or installing roof lights and/or windows. As far as practicable, additions to the roof need to be at least 20cm above the original eaves, and no higher than the highest part of your house. It is possible to add up to 50 cubic metres to the original roof space (although this figure falls to 40 cubic metres for terraced houses). It is not possible to add a veranda, balcony, or any other type of raised platform. Similar to house extensions under PDR, the materials you use should be ‘similar’ to the materials on your existing roof. You can add a porch to your property that is up to 3 metres high and with a maximum area of 3 square metres. If the porch faces the road (which is often the case), it should be at least 2 metres from the edge of your plot. Under PDR, you can build any independent structure on your plot to the side and back of your house, as long as it is not another house or has more than one storey. For example, you may wish to add an outdoor office shed, a swimming pool, an animal pen or a heating tank. The additional structure(s) may take up to half of the plot that is not taken up by the ‘original’ house (note that ‘original’ means the house as it was first built, or as it stood on 1 July 1948, if it was built prior to that date). The structure can be up to 3 metres in height. However, if the structure is within 2 metres of the house, the maximum height is reduced to 2.5 metres. If the structure has a double-pitched roof, a maximum of 4 metres in height is permitted. As with roof alterations, your structure may not have a veranda, balcony or raised platform, and you will need planning permission if your house is listed or, in some cases, if you live in a protected area. Antennae are also not allowed on the structure. You can read more detailed guidance about PDR for these types of projects (as well as adding hard surfaces to your plot and/or altering the chimneys and flues on your property) in the Householder Technical Guidance issued by the Department for Communities and Local Government. Note that the guidance applies to England and Wales and separate PDR guidance can be referred to for projects in Scotland and Northern Ireland. 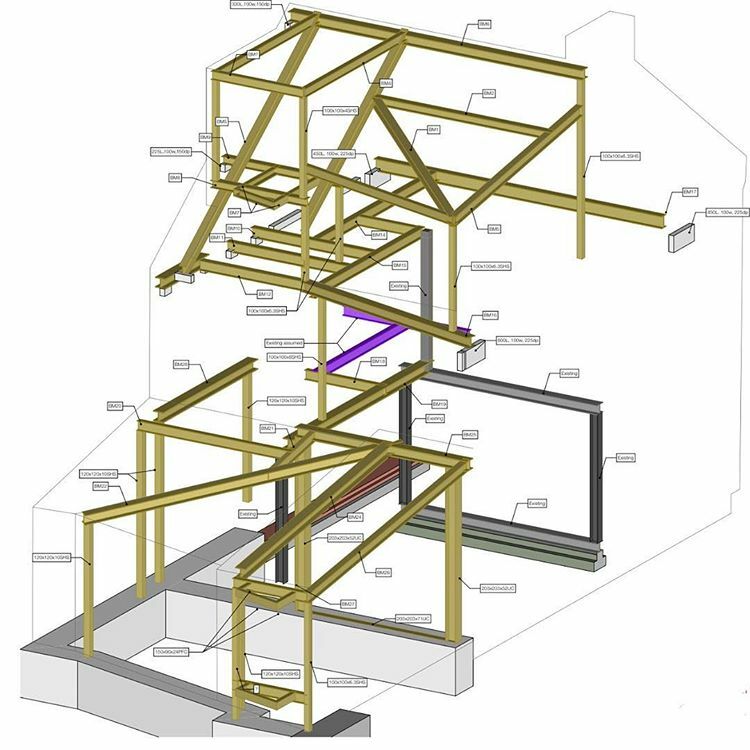 An extension or addition to your home is something that you can do under ‘Permitted Development Rights’ (PDR), meaning that you do not need to apply for planning permission to undertake the work (see the general introduction to PDR in our last post). There are, however, certain limits and conditions that you need to be aware of and we cover some of those in this post. For all types of extension, no more than 50% of the area of land around the ‘original house’ can be covered by the addition (bear in mind that ‘original house’ means the house as it was first built, or as it stood on 1 July 1948, if it was built before then). You will need to check whether a previous owner added an extension as this is included in the calculation, as are sheds and any other outbuildings. For single-storey extensions, if the project is completed by 30 May 2019, the rear wall of a detached home can be extended by up eight metres. If you live in a semi-detached or terraced house, this is reduced to six metres. These upper limits have been temporarily increased and if you extend more than four metres beyond the rear wall (detached) or three metres (semi-detached/terraced), you will need to go through the Neighbour Consultation Scheme to notify the local planning authority of your intention to use PDR in this case. Under PDR, the extension must not be to the front or side of the building (if it is, it requires planning permission). 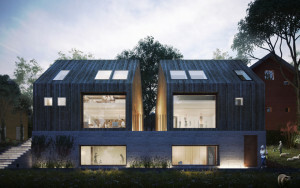 The materials used in the extension should be similar in appearance to those on the exterior of the rest of the house, and the extension must not exceed four metres in height. For higher extensions of more than one storey, the addition can be no higher than the existing house and it may not extend more than three metres beyond the rear wall. You will also need seven metres between any boundary opposite the rear wall of the house. 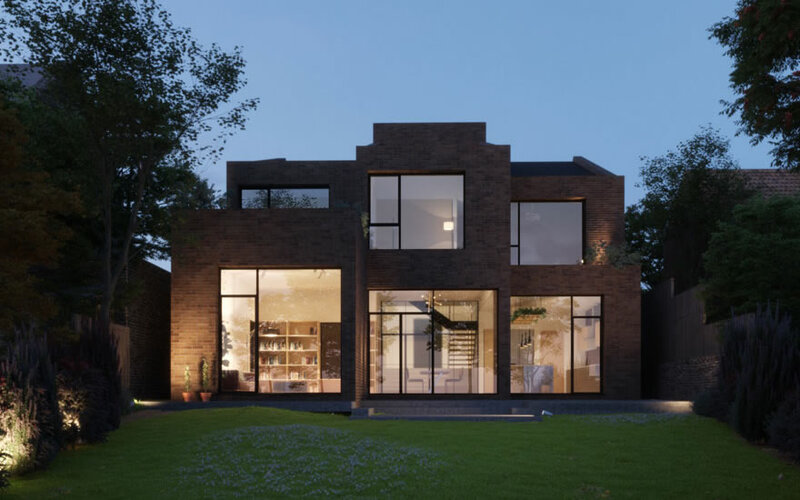 As with single-storey extensions under PDR, the materials you use must be similar to the existing house, and there are some additional rules about upper floor/roof windows. The permitted development allowances that we have described in this post apply to houses in England only. If you are seeking to alter or extend a flat/maisonette, a converted house (or a house created through the PDR to change use), other buildings, or your house is in an area where there may be a planning condition (e.g. protected/designated area), you will need to check separate guidance and rules with your local authority. Some local authorities are able to confirm in writing (for a small fee) whether or not a planning application is necessary. Most extensions still require approval under Building Regulations. You can read more detailed guidance on the Department for Communities and Local Government Planning Portal, or contact us for advice about a project you are considering.